Dr. Gilbert Shia came from Britain and is a specialist in family medicine. He received his medical training at Cambridge University and his post-graduate training at Oxford University. He holds post-graduate diplomas in paediatrics, obstetrics and gynaecology. He had been working as a General Practitioner (family doctor) in England for 15 years and was a lecturer at the Oxford University. Dr. Shia came to China in 2006 and is licensed to practice medicine in China. He has worked in both the expatriate sector as well as in the local community. He was interviewed by CCTV, BTV and Phoenix TV as well as numerous newspapers including China Daily for his pioneering work in introducing the British concept of family medicine to China and in providing British standard chronic disease management to the local community. He lectures at the Capital Medical University in Beijing. Dr. Shia brings with him the concept of continued care and person centred care from Britain. As he lives in Beijing long term he has become the personal doctor of many expatriate families. Dr. Shia is a warden to the British Consulate in Beijing. 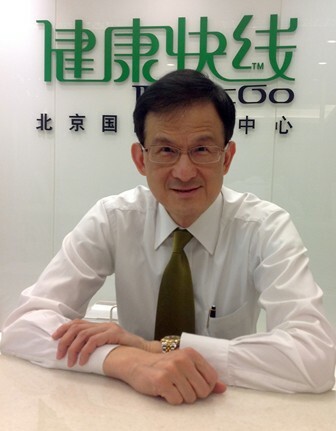 Dr. Shia was born in Hong Kong and so he is fluent in Cantonese as well as Mandarin and English. He enjoys traveling and eating out.